Steven Matijcio, internationally-recognized curator, writer and researcher, joins Blaffer Art Museum as the Jane Dale Owen Director and Chief Curator. He begins Monday, March 11. Innovative leadership, interdisciplinary collaboration and a passion for socially engaged public art are the cornerstones and credentials of the Blaffer Art Museum’s new leader. 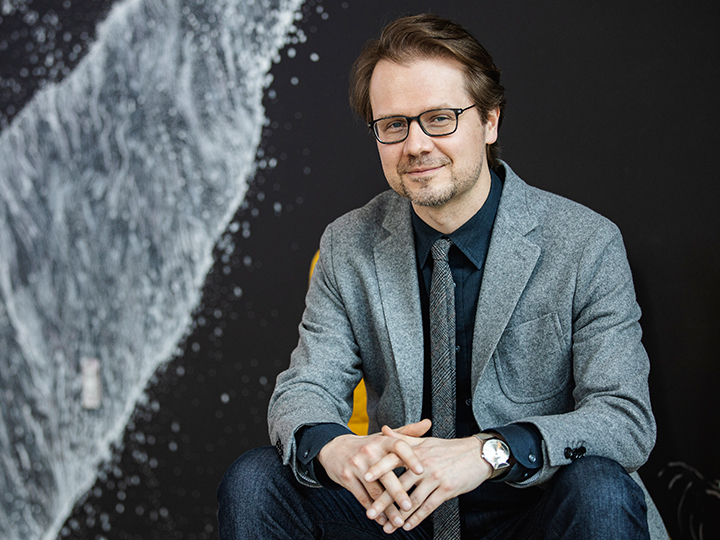 Steven Matijcio, internationally-recognized curator, writer and researcher, will start his new role as the Blaffer’s Jane Dale Owen Director and Chief Curator Monday, March 11. He currently serves as head of the curatorial department at the Cincinnati Contemporary Arts Center (CAC). Matijcio has a career history of orchestrating exhibitions that celebrate artists with diverse practices, media and ethnic backgrounds in experiential settings that span museums and their surroundings. He often steps outside museum walls to intertwine local histories with international currents, which he hopes to do at the University of Houston – further animating the campus as a canvas and collaborator. As a precedent to this, Matijcio organized the group exhibition “Buildering: Misbehaving the City” which traveled to the Blaffer in 2014, presenting a bold survey of international artists and their creative misuse of built space. During that time, he became intrigued by the rapidly evolving demographics and global ambitions of Houston, as a site that reflected the face of the future American city. Prior to his job at the CAC, Matijcio served as curator of Contemporary Art at the Southeastern Center for Contemporary Art (SECCA) in Winston-Salem, North Carolina. He was the artistic director of the 2012 Narracje Festival in Gdansk, Poland and has participated in curatorial residencies in Korea, Germany, Canada and the United States. He has lectured on theory and criticism at the University of Manitoba, and holds a Master of Arts in Curatorial Studies from Bard College as well as an Honors Bachelor of Arts in Arts Administration from the University of Toronto. Davis shared that in addition to Matijcio’s extensive career experience and ambition, Blaffer’s new director is dedicated to inclusive dialogue with students, faculty and alumni. Matijcio took time to answer a few questions. Q. You’ve said when you move to a new city, you like to immerse yourself in its surroundings to learn as much as possible. Tell us more about how you do this. A. My first priority is to meet the people who feed and further the cultural life of the city. Art and artists are found in so many places, inside and outside of the expected locations. I like to say that I live my location through a curatorial lens, which means diving deep into the character of a place through exploration, research, interviews and experiencing art and performance across all disciplines. Q. You are a firm believer of using art to amplify and activate civic life. How do you plan to transform the Blaffer Art Museum into an arts destination and learning space for the UH community and Houston? A. This is not a question of re-inventing the wheel, but rather one of giving it more traction and fuel to propel the Blaffer into the future. Thanks to the strong and enduring work of my predecessors, the Blaffer is already highly regarded. My goal is to integrate the Blaffer more deeply into campus life, weaving students, faculty, course work, student-based organizations and fields of study outside of the arts into the production, performance and interpretation of our projects. Q. What attributes do UH and the city of Houston have that make Blaffer well equipped to be a hub for contemporary art? A. This is a relatively young city, but one with a large urban population and soaring ambitions to circulate in globe-spanning conversations. The McGovern College of the Arts is built upon a mandate of innovation, experimentation and new models of entrepreneurialism that will lift the Blaffer into the continued activity of questioning, exploring and pushing beyond parameters. Q. What types of programs can museum patrons expect to see in the future? A. I envision a more active, porous organization that pushes its art and artists to flow through the gallery, campus, community and city. Research-based inquiry will meet relational aesthetics, and I aspire to integrate more actions and performance into the program.